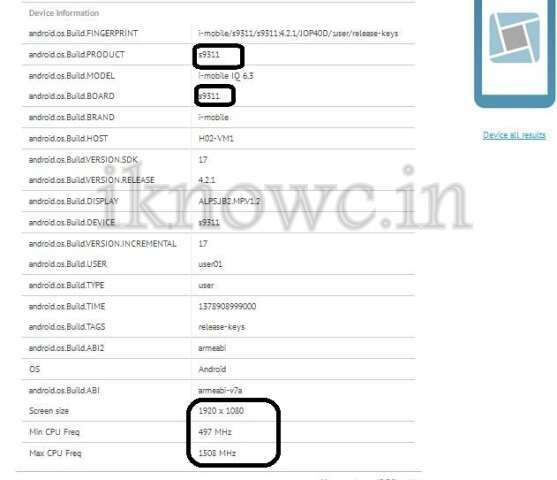 So as promised by us today we are posting the Leaked Benchmark scores of Micromax A250 Canvas Turbo. The Nenamark scores of the device was already posted by us. Now we are posting GFXbench and Nenamark 2 Scores of the CanvasTurbo. Before we begin let me tell you that scores are made by the Phone with exactly the same hardware with which A250 comes. SO the final scores of the device may vary because it also depend on that kind of ROM integrated on the Phone. 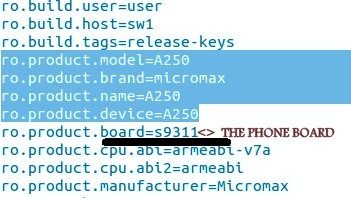 You can easily find the real manufacturer’s product name, that is s9311, in the above leaked build.prop of the A250. 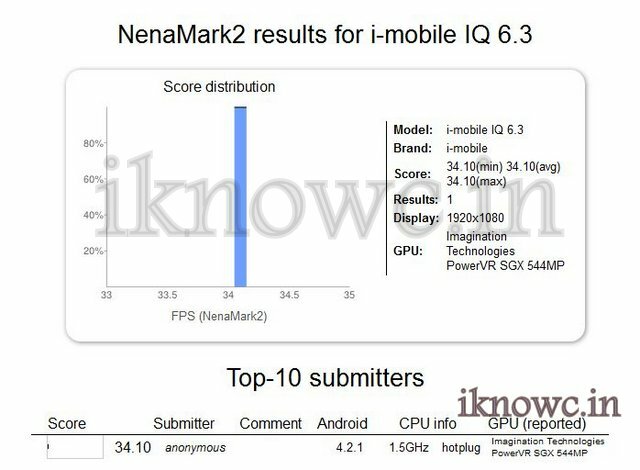 Now see the same details about this phone ( I-mobile iq 6.3) in GFX bench it also shows the same board and rest of details are also exactly the same. The real manufacturer of CanvasTurbo is Tinno mobile China and the Product name is s9311. The scores are quite similar to Gionee Elife E6′ scores, so still there is no word to say anything about the RAM of Micromax canvas turbo A250. We will UPDATE is something new pops up about the CanvasTurbo. In mean time Check Out Zen Ultrafone 702 FHD. thank you sir for your reply.What about mmx canvas knight? Does it have any gpu? yes, it has GPU. But you should wait for it to arrive.